THE Indian Ocean Region (IOR) is one of the most areas of the world in human terms. It includes a wide variety of races, cultures, and religions. The level of political stability, the quality of governance, demographic pressures, ethnic and sectarian tensions, and the pace of economic growth create a different mix of opportunity and risk in each state. This can affect mid- and long-term development and sometimes creates near-term problems in stability that can trigger internal or civil conflict. The IOR is a major sea route that unites the Middle East, Africa, and East Asia with Europe and America. The excessive economic growth of littoral states of Indian Ocean obliges them to protect their energy needs and interests in order to endure their purchasing power. This has great security implications for the sea line of communication of the littoral states of IOR like Pakistan. 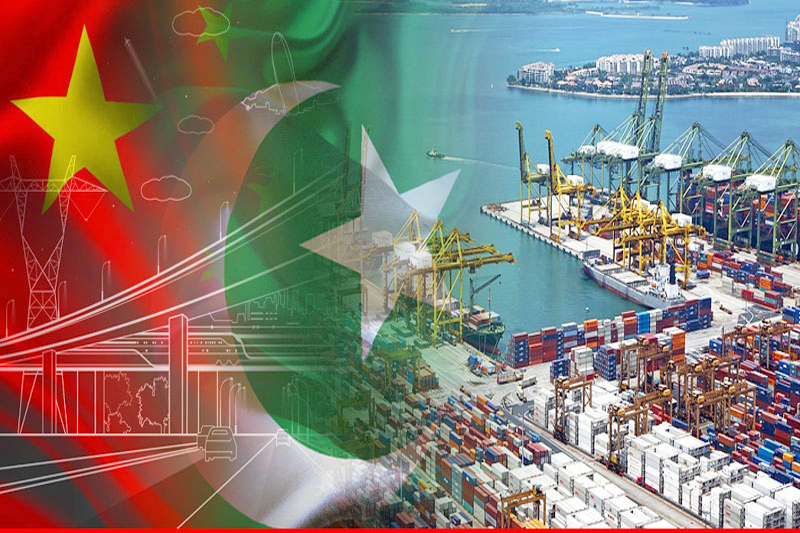 Continuing to Pakistan’s interests in IOR the China-Pakistan Economic Corridor (CPEC) has great potential to transmute Pakistan into a central trade platform, which would undeniably gush the enemies, particularly India, to halt it. The development of Gwadar sea-ports as part of BRI in general and that of CPEC in particular has amplified India’s concerns’ and aimed for more sophisticated and advanced naval build-up. Furthermore, India perceives the Gwadar port (that is considered as crown jewel of CPEC) as a hazard to its contesting interests in Central Asia States. The reason being, India can access Afghanistan, Iran and Central Asian Republics (CARs) only through Chabahar by passing Pakistan and Gwadar a deep water sea port that is easily accessible to this land locked states than Chabahar. A couple of days back on 24th December 2018 India has formally overtook the operational control of Iran’s Chabahar Port. India’s aspirations to become blue water navy in the IOR raise serious concerns among Pakistan’s maritime security. CPEC would lead toward increased maritime politics and contestations not only between Pakistan and India but would also involve China and the US. In such turbulent circumstances Pakistan is required to prepare its sea-based defence to secure its sea lines. Islamabad needs to carefully evaluate its options and develop its strategic response accordingly, involving but not limited to continuous development of its naval capability and an even closer maritime cooperation with China. In view of the prevailing power dynamics in the Indian Ocean, Pakistan Navy in order to secure its interest in IOR inked a contract with China’s State Shipbuilding Corporation (CSSC) in June 2018 for two, Type 054AP frigates. The agreement is an extension of a previously signed agreement in 2017. Recently on December 19, 2018 steel-cutting ceremony for the second Type 054A frigate for the Pakistan Navy was held at the Hudong-Zhonghua shipyard in Shanghai. The type 054 AP warship frigates will be equipped with modern detection-state of art sensor and Guided Missiles weapon systems; capable of anti-ship, anti-submarine and air-defence operations. According to the report of China Daily report added that the “Type 054A is the best frigate in service with the PLAN”. It is pertinent to mention here that maritime security is linked with the economic security and vice versa. Gwadar port is one of the most important projects of the CPEC where Pakistan and China are very hopeful that in future this shipping port will generate the revenue for Pakistan’s economy. There is a big chunk of fishery industry through which Pakistan can earn a lot. It will stimulate business and trade activities at state level and across the region. The 054 AP frigates ““Will be one of the largest and most technologically advanced platforms of the Pakistani Navy and strengthen the country’s capability to respond to future challenges, maintain peace and stability and the balance of power in the Indian Ocean region” a report on 2nd January 2019 released by Chinese state owned media said. In some, to deal with all these existing defies Pakistan Navy (PN) has espoused to a multi divided line of action for safeguarding the port in a more effective manner. It conducts security patrolling and coastal exercises from time to time. Furthermore, previously in 2013 it has inaugurated its Joint Maritime Information Coordination Centre (JMICC) in Karachi to provide with an effective mechanism of Maritime Domain Awareness (MDA). After receiving these 054 AP frigates warship Pakistan will definitely in far more better position to counter India’s vested interests in the Indian Ocean region. It will also help secure the Gwadar port which is the chief component of Pakistan maritime trade activities. China has always been an all-weather strategic partner of Pakistan. Although India always tries to propagate that CPEC is military agreement instead of an economic one however, securing the economic interests with an advanced mechanism does not mean at all that it’s planning something militarily. Pakistan has always adopted a defensive policy and it is the right of every sovereign state to secure its interests even if they are economic as there is no morality in international politics, still CPEC is an economic project which welcomes every state of the region for economic cooperation even if it is India as well. The whole world has realised the immense significance of the CPEC project and Gwadar Port. Regional and extra regional states desperately want to get in on this project to benefit from its exploits. Countries and powers who are trying to sabotage CPEC and Gwadar port through direct and indirect means should be mindful of the fact that Pakistan and its Armed Forces are fully aware of their designs and are also capable and prepared to destroy anyone who dares to cast an evil eye on the security of these projects and the overall national security of Pakistan. Previous Have Dr KC’s demands addressed by the medical bill?